Eyelash extensions are a godsend for those of us with short eyelashes, providing immediate, gorgeous results. But there’s one major caveat: the price. High-quality falsies can cost from $150 to $300 or up, depending on brand and style. Fortunately, you don’t have to choose between beauty and buying groceries or paying the rent. There are some awesome mascaras for short eyelashes that produce similar results for a fraction of the price, and you won’t have to spend hours with an esthetician either. What’s more, you won’t have to stress about losing them or ruining them with water, makeup, or dirt and oil. These mascaras are long-lasting but easily removable, leaving your natural lashes healthy. If you’re still not convinced, check out the reviews from other real customers. Read on to find the best mascaras to transform your lashes from short to long and luscious. The great thing about the beauty industry is there’s a solution to any problem. For short eyelashes, look for products specifically marketed for their lengthening properties. There are two types to choose from, those which you apply in the same way as your typical mascara, and 3D fibers. 3D fiber mascaras usually contain two separate bottles. One is a gel which you apply first to hold the fibers in place. Before the gel dries, you apply the fibers to the middle and ends of your lashes, finishing off with a second coat of gel. These are something of a middle-ground between falsies and mascara. Removal is the same as mascara, and you won’t have to worry about them falling off. 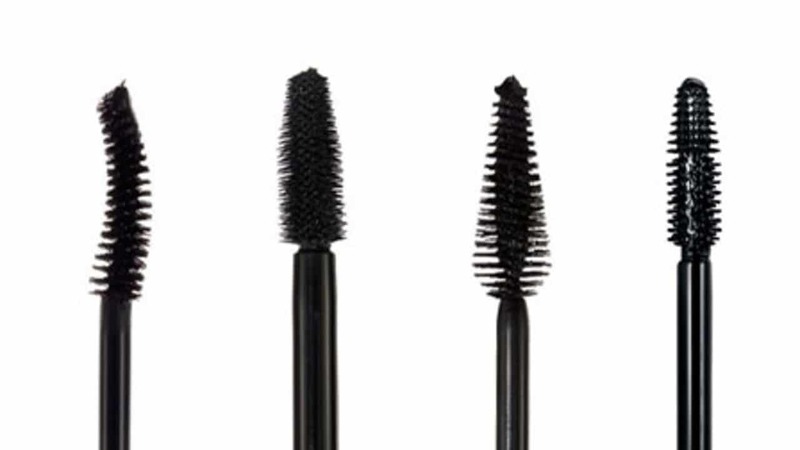 However, high-quality lengthening mascaras can have the same effect in one step. We review some of the best in each category below so you can decide what’s right for you. Just as you use primer and concealer to prep your face before applying foundation, highlight, and blush, a little prep can go a long way when it comes to creating long lashes. First, use an eyelash curler. Short lashes are often also straight, which doesn’t help when you want swooping volume. Curling stretches the lash up, creating the illusion of length. Curlers are easy and painless to use and work much the same as a curling iron without the heat. According to the beauty experts at NY Magazine, some of the best curlers include the Shu Uemura Eyelash Curler, Kaasage Eyelash Curler With Advanced Silicone Pressure Pad, Kevyn Aucoin Eyelash Curler, and the Brilliant Beauty Eyelash Curler (a great budget option). Next, use a short, curved mascara wand to ensure every bit of the lash is covered. The curve is essential because not only will it curve and lengthen, but a straight brush may pull your lashes down, reducing the effectiveness of curling. Also, curved brushes are less likely to clump. Clumping may make your lashes look weighted down instead of full and perky. Most mascaras come with a wand included, but some people prefer to use a separate wand for better application and/or hygiene. A separate brush is particularly important if you ever share mascara with friends, siblings or roommates and don’t want to spread bacteria. Apply mascara after curling, starting from the roots. Brush first from side to side and then slide the wand up toward the end of the lashes. 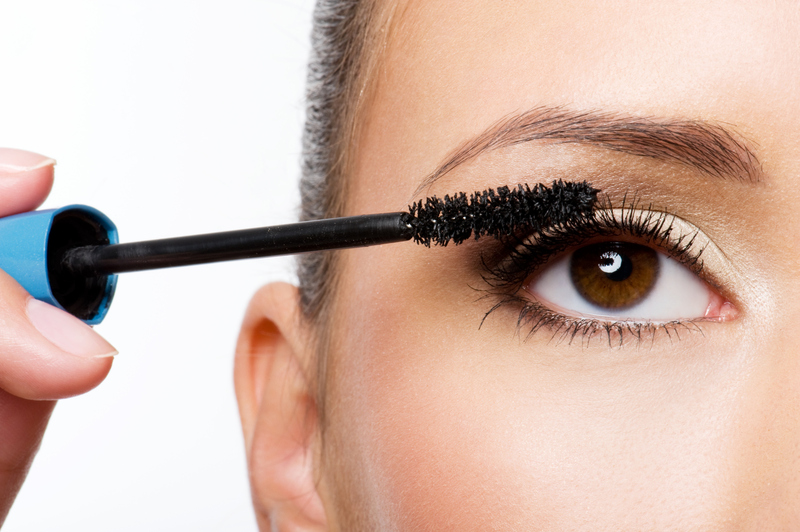 For balance, put the mascara wand back in the tube before applying to your second eye. After the first coats dry completely, apply a second coat, or as many subsequent coats as you feel you need. Should you apply bottom lash mascara? It’s a controversial topic among makeup artists, but most seem to agree it’s a yes. Applying bottom-lash coverage makes the eye look fuller. Also, it will prevent your bottom lashes from looking washed out after you apply under-eye concealer. Mia Adora promises to lengthen and volumize lashes by up to 300%. Its fibers are uniquely formulated with green tea, helping to condition and fortify the lashes. Like the fibers, the gel is non-toxic and a good choice for people with sensitive eyes. It also comes with a comb to brush the lashes after applying fibers, which can prevent clumps. This natural fiber lash mascara is waterproof and smudge-resistant, excellent for those who work long days or need their makeup to last from the office to after-work hangouts with friends. LightVoxx also backs up their products with a 100% satisfaction guarantee so you can try it risk-free. Maybelline is a go-to budget beauty brand. 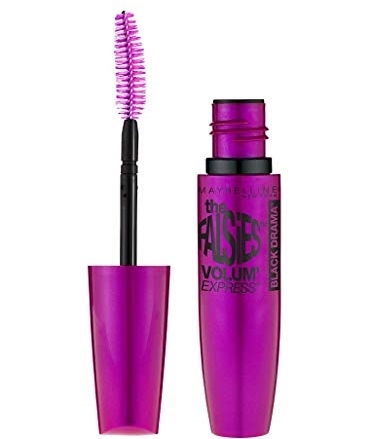 Their mascara line, including this Volum’ Express The Falsies Washable Mascara, is particularly well-known for its even, volumizing coverage. This one is also ophthalmologist tested so you know it’s safe for sensitive eyes. Benefit is a bit more expensive but it’s worth every penny. 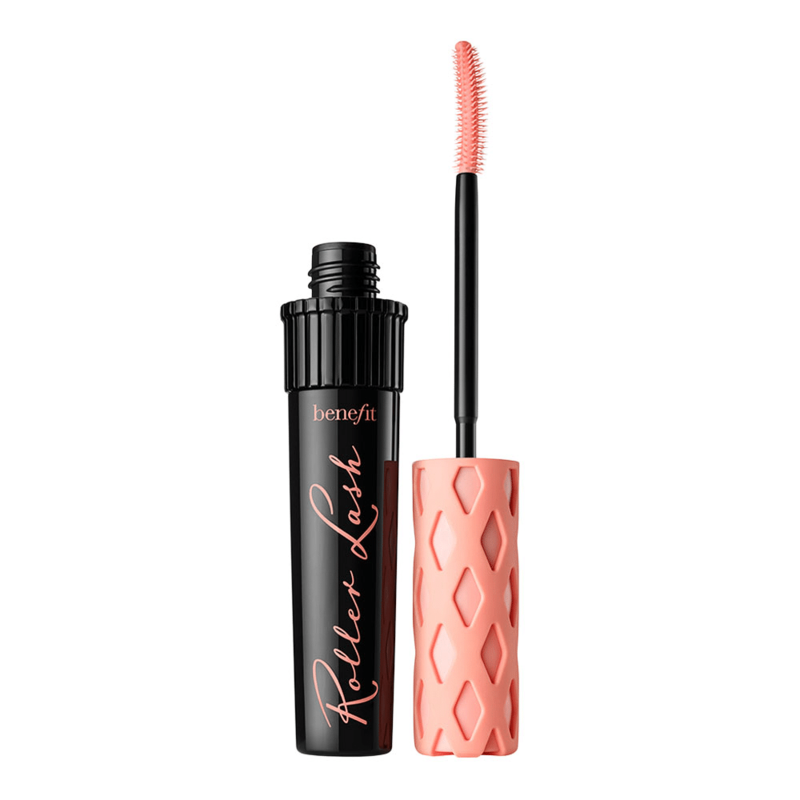 One of the most respected brands in the business, Benefit doesn’t disappoint with this long-lasting, lengthening mascara. The trademark Hook ‘n’ Roll brush grabs, lifts, separates, and curls lashes for an elegant, clump-free curl. Its formula is nutrient-packed to condition the lashes as it beautifies. Skin2Spirit is an all-natural, vegan, cruelty-free cosmetics company. Although some all-natural products aren’t as effective, this is an exception. You’ll have gorgeous full lashes without harsh chemicals. The formula is also hypoallergenic, making it a prime choice for anyone allergic to traditional mascaras, and those with eye conditions such as dry eye. 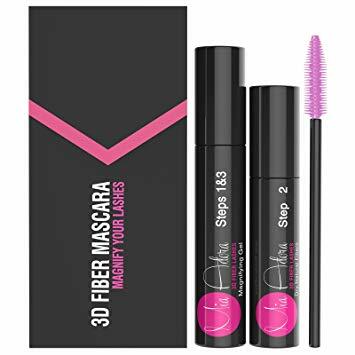 Mia Adora’s 3D Fiber Lash Mascara promises to create long, voluminous lashes up to three times the fullness and length of your natural lashes. You’ll have the intense look of falsies without the hassle. This fiber mascara works similarly to others, applying tiny fibers to the lashes to extend and fill in sparse areas. But these fibers, made with green tea, also condition and fortify your natural lashes. Like the fibers, the magnifying gel formula is also paraben-free and non-toxic, making it a good option for those who are eco-conscious or have sensitive eyes. It’s also great for people with contact lenses. You’ll get an eyelash comb as well, which can help prevent clumping. It’s waterproof and long-lasting, but easy to wash off at the end of the day with a facial cleanser or makeup remover. This 3D fiber lash mascara is waterproof and smudge-resistant, keeping your lashes lush and long through tears, sweat, and rainy days. It creates intense length and volume up to three times that of your natural lashes using 3D fibers which attach to the lash tips and center. Like many fiber mascaras, it may clump, which is why LightVoxx has included a separate brush to brush away clumps and produce an even, natural-looking coating. In addition to creating long-lasting length and coverage, this formula contains natural ingredients like natural green tea which help to condition and strengthen the lash from the inside out. Although it provides complete, long-lasting coverage, it’s also easy to remove with a makeup remover or wipe. This ensures you won’t wake up with smudged mascara or damaged lashes due to overnight wear. Better yet, LightVoxx promises a 100% satisfaction guarantee so you can try their product risk-free. Maybelline is one of the leading affordable cosmetics brands, especially well-known for their mascaras. The Volume Express line is awesome and this lash-lengthening product is no exception. It makes achieving long, bold lashes easy. 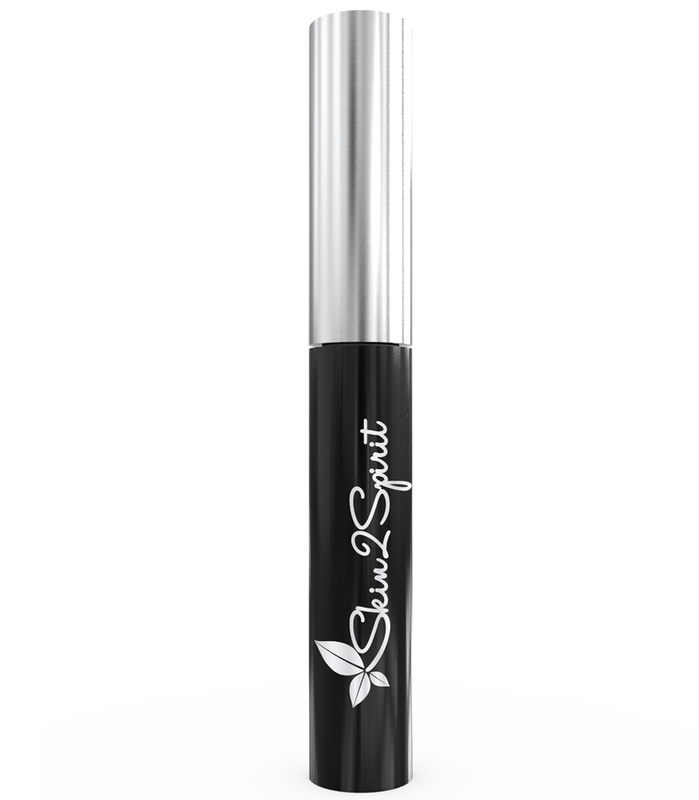 Its unique flexible wand lifts and separates the strands to create the illusion of more lashes. And the patented spoon brush and kera-fiber formula can build up to eight times more volume than your natural lashes. Kera-fiber, made with keratin, also conditions the lashes to keep them lush and healthy. Although it’s not waterproof or smudge-proof, it holds its own against normal daily activities. Try not to cry or get caught in a downpour and you should be fine! It’s washable and easy to remove without any residue; you don’t have to worry about waking up with a makeup-stained pillowcase. This mascara is also good for people with sensitive eyes and those who wear contacts. Mascara is probably the most difficult makeup product to wear for those of us with contacts and sensitive eyes or allergies because some products dry up and cause itchiness or leave flakes in the contact lens. Maybelline’s product is ophthalmologist tested. Benefit is one of the most respected names in the cosmetics industry with a range of high-end products. This Roller Lash Mascara is yet another one worth raving about as it produces gorgeous full, doll-like lashes, even for those of us not naturally endowed. Water-resistant, it stands up to daily wear as well as tears, sweat, rain, and more without smudging. It can last 12 hours or more. This is ideal for anyone who needs all-day coverage, whether you move and sweat a lot at work or need something to take you from the office to the club without a touch-up. The instant curve-setting formula creates an elegant curve while the Hook ‘n’ Roll brush grabs, separates, lifts, and curls the lashes. Altogether, it creates a full, evenly-coated look. The formula is also safe and healthy for the lashes and eyes. Easy to remove, you can wash it off without any residue. The formula is also conditioning, with pro-vitamin B5 and serin, which promote growth and strength. This mineral mascara will leave your lashes long, lush, and beautiful without adverse side effects. Skin2Spirit makes natural makeup products that are vegan and cruelty-free (not tested on animals). Lead, mercury, toxin, petroleum, paraben, and dye free, it’s great for your conscience as well as the health of your lashes. With no harsh chemicals, the formula conditions lashes without causing damage that can lead to fallout. Although it’s not waterproof or smudge-proof, it stays on well in normal day-to-day wear. You might not want to wear it to the gym, and you may need to be careful wearing it on a hot day or at a crowded concert or club, but it should be fine most of the time. It’s easily removable so you won’t be left with sticky residue. It’s also hypoallergenic, a fantastic choice for those of us who have sensitive or dry eyes or blepharitis. It’s also good for people who wear contacts, which can make your eyes more sensitive and irritable to certain cosmetics. This mascara is a two-in-one and can also be used as a liquid eyeliner. All you have to do is dip an eyeliner brush into the tube and apply as usual. 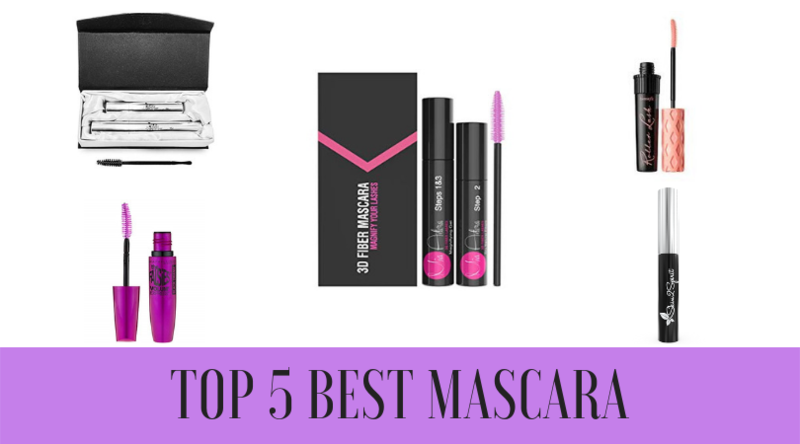 Although all five of these mascaras have their perks, Mia Adora’s 3D Fiber Lash Mascara is our favorite. We’ve found fiber mascaras are often more effective for length compared to others, and this is one of the best fiber mascaras on the market. Not only will you have beautiful, voluminous lashes all day long, but the green tea fibers can condition and fortify your natural lashes. This helps prevent fallout which could leave your naturally sparse lashes looking thinner. We love the natural, non-toxic formula as well because it’s great for the environment and your skin. Not only do they have a fantastic product, but Mia Adora also provides a detailed guide for flawless application. Their customer service is fantastic as well, which is always a major plus.